From today, keen New Zealanders from around the country will creep out of their homes in the freezing dark morning and take to the rivers armed with waders, swandris and optimistic hearts. This canny lot set up their possies and then wait for luck to strike. To other whitebaiters in the area they give nothing away except sidelong glances. 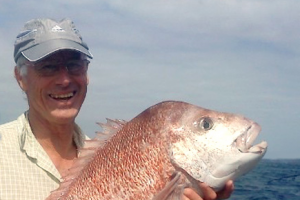 Enquiries about the day’s catch will likely yield a gruff “nah, not much” regardless of how much ‘white gold’ is stashed away in a keepnet or bucket. Whitebait are a kiwi icon, but there is a lot more to these teeny tiny tasty fish than meets the eye. Unbeknownst to many people, the word “whitebait” actually refers to the young of five species of native freshwater fish. Most of these species are found nowhere else in the world and four of them are included on the threatened species list. 80 years ago, whitebait could be scooped out of rivers by the bucketful and were seen as so commonplace that people fed them to their chickens or even spread them on the garden as fertiliser! Unfortunately, human activities have impacted heavily on this national treasure and these days, catches of the tiny translucent treats are very small. At $150 a kilo, the chooks certainly don’t get a look in! The purpose of this article is to introduce the five members of the whitebait family. Inanga are the species most commonly represented in whitebait catches. They are the smallest of the whitebait species, growing to around 10 cm and the one that is most commonly seen by people. 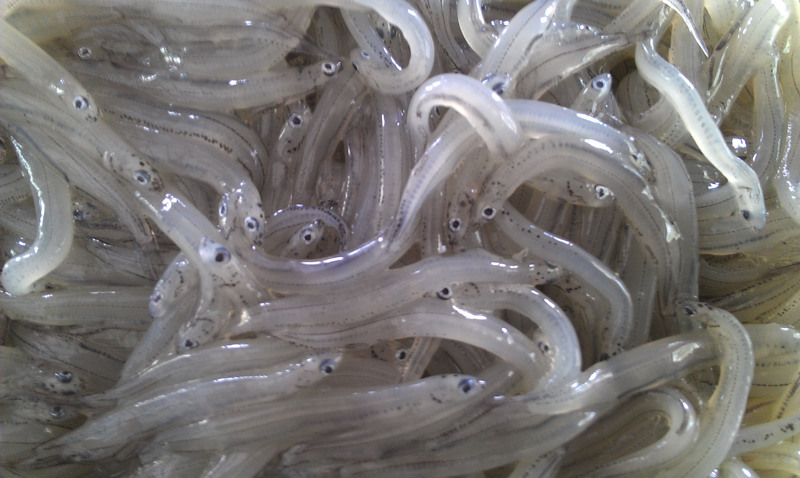 Unlike other whitebait species, inanga are not very good climbers and so tend to be found in downstream, coastal areas living in schools or shoals. Banded kōkopu live in small streams with overhanging vegetation. They are a long, stout fish, usually dark brown and with beautiful golden stripes along their sides. They mostly eat any unlucky critters such as beetles and spiders that fall off leaves and branches into the water—they have even been known to leap out of the water and grab insects off low-lying branches! Giant kōkopu are a stocky, powerful fish, dark brown to black in colour with beautiful golden markings that resemble Egyptian hieroglyphics. As their name suggests, giant kōkopu are no slouches in the size department! The largest of the whitebait species, these grow into very big fish—the biggest on record was over half a metre long! 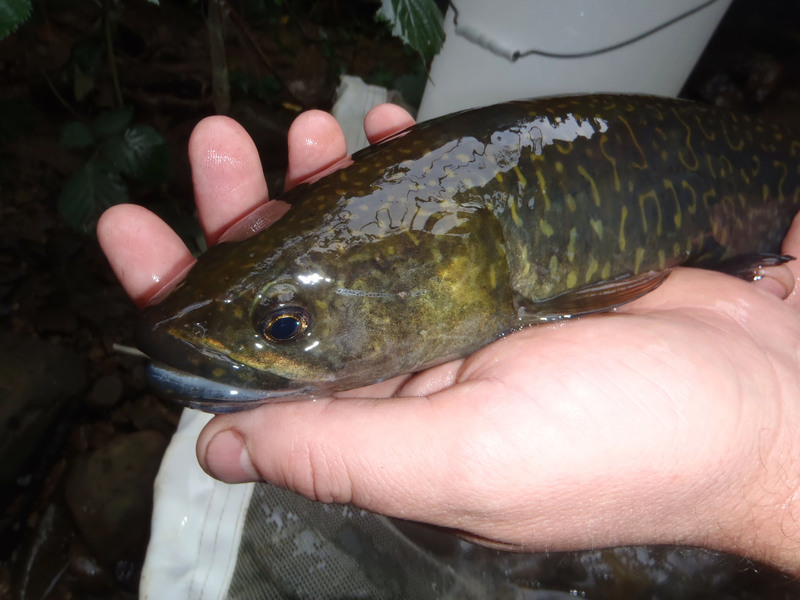 Giant kōkopu live in deep dark pools in lowland streams, lakes and especially wetlands. Their secretive habits are not the only reason for the giant kōkopu’s low profile—these fish are really quite rare these days. Nearly 95% of New Zealand’s original wetland areas have been destroyed to make way for urbanisation and pastoral farming so decent habitat for giant kōkopu is now very scarce. Shortjaw kōkopu are only found in high country streams with native forest. They have small mouths and are pinkish/gold in colour. This species (along with the other whitebait species) has suffered from the introduction of trout to New Zealand as not only do the adult trout eat a lot of the same foods as adult kōkopu, young kōkopu also make a tasty meal for a hungry trout! Possibly the most beautiful of the whitebait species, kōaro are long and slender with glittery golden markings. They are also usually found in high country streams, often above large waterfalls. This fish is an amazing climber—by sucking on with its belly and gripping with its large fins a kōaro can climb wet surfaces that are vertical! 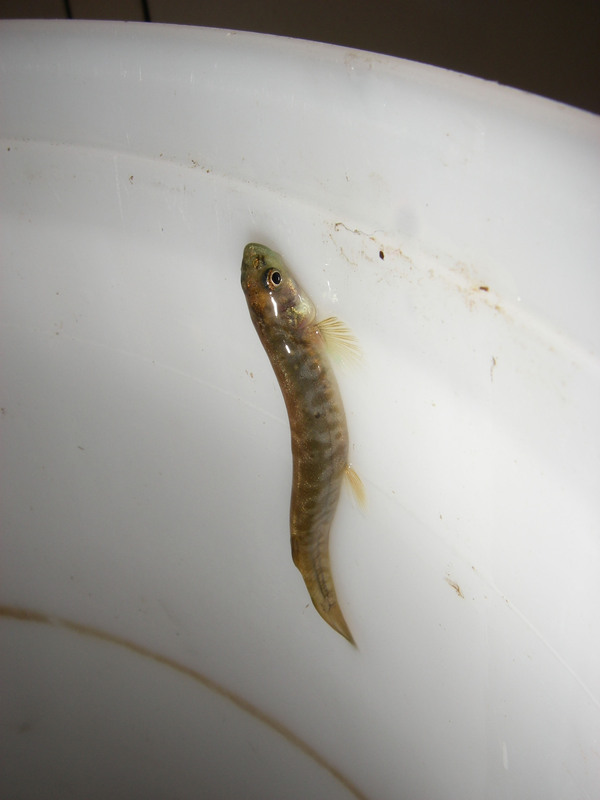 This species is the one found climbing out of whitebait buckets. Together with the shortjaw kōkopu, kōaro are very slow-growing—sometimes only 1 mm per year and they can live for around 40 years. We all know that pollution and habitat loss have taken their toll on our treasured whitebait species. These days, banded kōkopu are the only one that is considered not threatened—the rest actually have a more serious conservation status than the little spotted kiwi! Banded kōkopu, shortjaw kōkopu and kōaro all commonly grow to over 20 cm long, while it is not unusual to find giant kōkopu over 40 cm long. Most people are astonished to learn that the contents of their fritter could have grown into such large (and endangered) native fish species! A good way to help a whitebait out is to join your local stream-care group (ask the council) and help with the protection and replanting of stream banks—earn those fritters! Or better yet, maybe think twice about eating them this year.